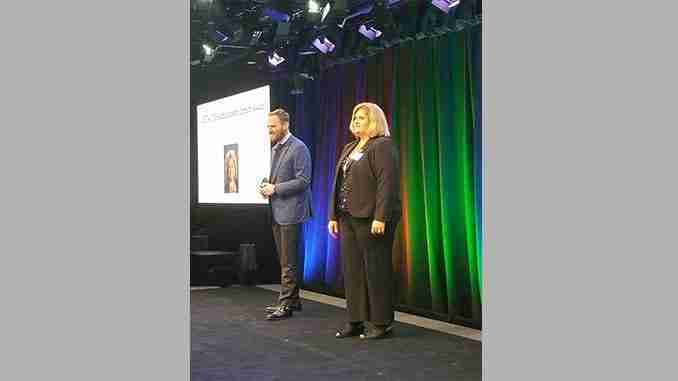 Chicago, Illinois – Two area school districts are on the national stage because their schools’ superintendent received an award. Barb Schwamman of Riceville and Osage received the Administrator Impact Award from the Computer Sciences Teachers Association Tuesday night at their Chicago Conference. Samantha Dalby who is the K-12 coordinator at New-Bo-Co in Cedar Rapids oversees computer science initiatives across the state. She nominated Schwamman for the award because the school districts have raised computer science standards in Iowa. Schwamman says the impact of their curriculum reaches beyond her school districts. Google Headquarters hosted the conference and it’s goal is to improve access and quality of computer science education.